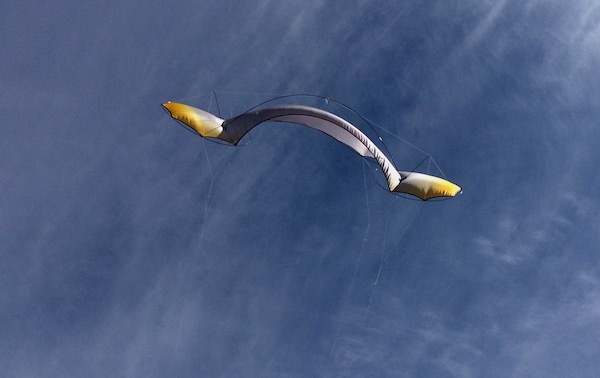 Unique in its class, this quadline kite is a snapshot along a lifetime of study. Each is built to order, and represents a distillation of our finest handmade technologies. The O2 Flame comes in two sizes, and nearly infinite color variations. 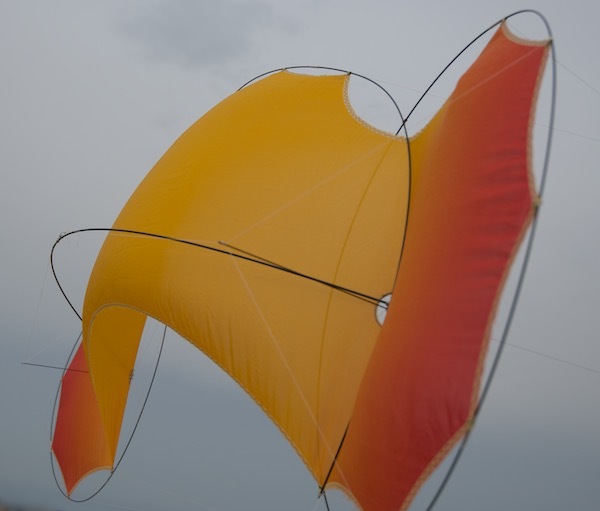 Made from pure, uncoated silk, the soft sail is dyed by hand, and suspended within a balanced carbon frame. 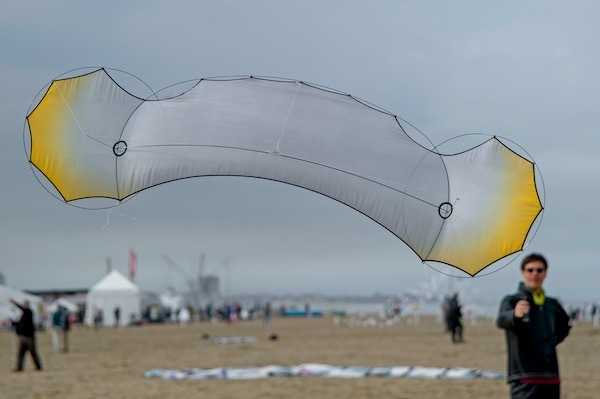 A fluid sail allows freedom and adaptation as wind loads form the foil, and controls warp the wing. Rather than relying on the strength of the fabric to constrain the shape of the carbon, this responsibility is handed over to design choices within the frame which define rigidity and flexibility. Inviting close inspection, the remarkably clean structure reveals tiny stainless steel terminations. 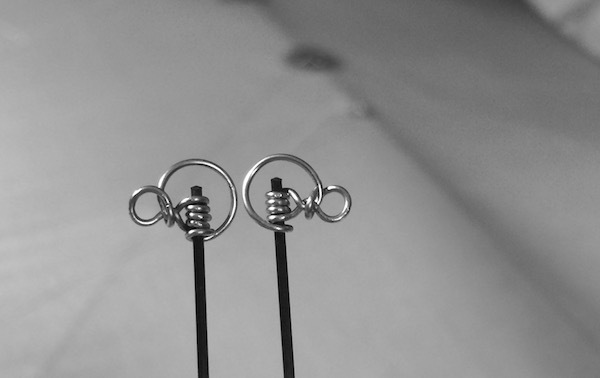 Each fitting is carefully designed, and precisely formed by hand. Every relationship between structural components is considered per-location in the system. The language of connections between components is highly evolved, with each fitting striving to handle multiple tasks. This yields an archival structure, free of unnecessary mass and volume. The minimalist construction collapses to a tiny packed state, and unmatched sail to weight ratio. One of the most significant features of the O2 Flame is its ability to not only breathe through the sail, but also to smoothly morph shape as controls and wind pressure change. The O2 Flame's sail forms cantenary curves and cantenary planes — a feature that our nervous system can clearly detect. 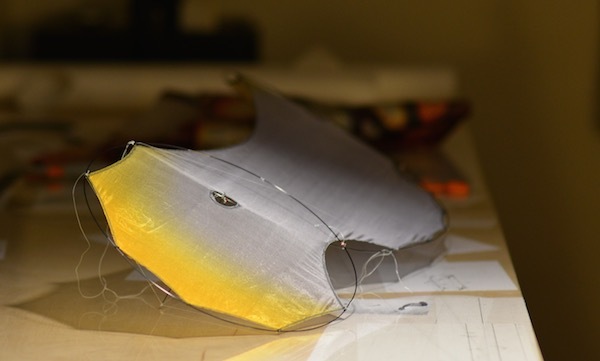 Flexible wings made of stiff, film-like, fabrics often have difficulty matching the optimal curves of a foil. It's the same problem one would have attempting to make a bubble out of paper. Looking back in the O2 Flame's family lines, we see a very similar quadline with one big variable changed. The Flame uses a film-based wing surface that makes certain that every single molecule of air must take the long way around. 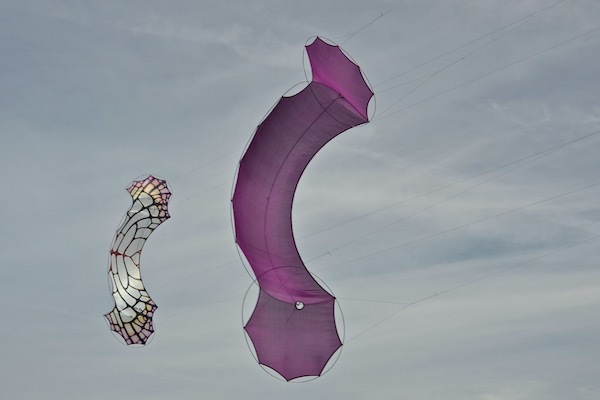 They see similar control and balance, but posses a fascinatingly different feel in flight. Everywhere you look, without fail, terminations are always special cases. Fingernails at the end of your fingers, miracle texture at the end of an insect's foot, the head of a nail, or the plug at the end of a wire, they are always asked to play a unique part in any system. 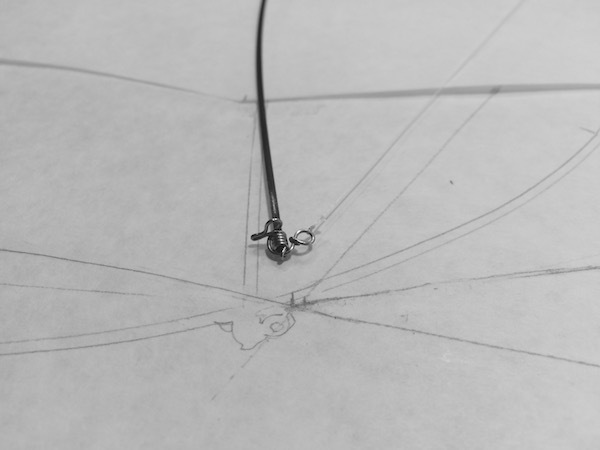 Careful thought and custom solutions are found in even the smallest parts of our frame designs. As we all reach for the shiny and clean design space found inside a computer, our hands forget the constraints, and perhaps more important, the opportunities found in the real world. Feeling real materials, drawing on real paper, and forming metal as it actually work-hardens in your hands, these things cannot be taught or replicated in a CAD environment. We rely on our close knowledge of our curated set of materials for every design decision we make. The unique silk sail of the O2 Flame required that we develop an entirely new way of cutting the sails. 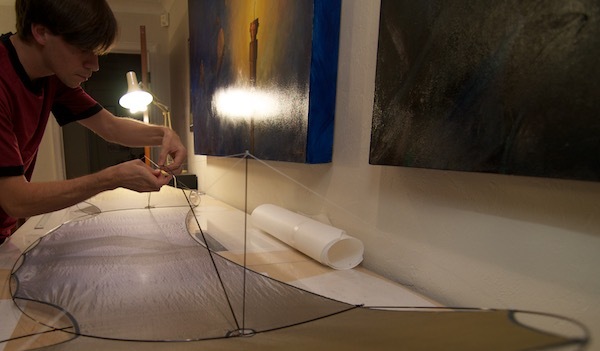 Having no stability on the bias, the fibers swim freely, so layup must be done against a known angle. 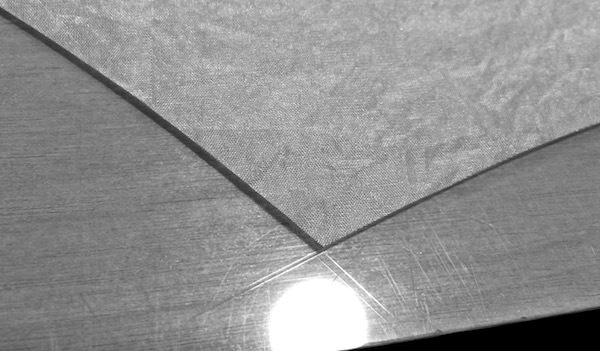 Every centimeter of fabric must be teased and sighted before the template is placed and the final shape is cut. Each O2 Flame goes through a careful build and adjustment process. At just 24 grams for the Mini O2 and 54 for the full size, it requires a delicate touch at every stage of production. A nearly infinite range of colors is possible. Because we dye the sail after it's made, color is captured as a reflection of the shape's own balance. The water, pigments, fibers, and heat all combine to create graphics and gradients with striking natural forms. Because it's silk, it handles light as no other fiber can. The O2 Flame's porosity becomes particularly interesting at the edges of the flight window. As the angle of attack to the wind direction changes, so too does the apparent porosity. 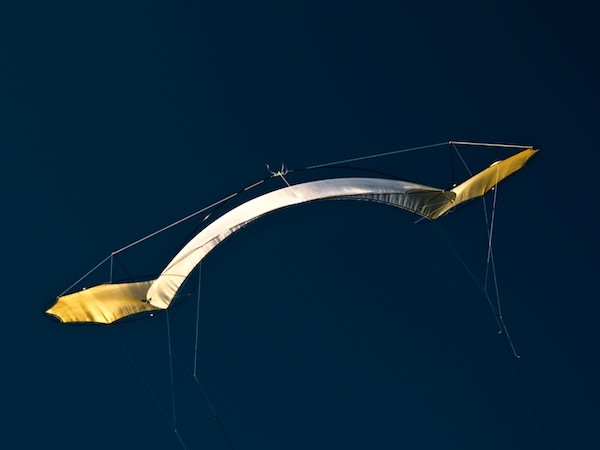 As the wing approaches the apex angle, the flow of air sees the foil as less breathable, and therefore more efficient — producing more lift just at the moment it's needed. 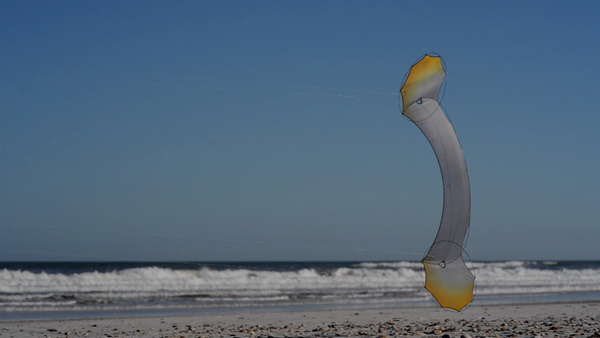 The O2 Flame also flies as a single line kite. It's completely stable, even untended. This means that working your way through a group or a crowd while looking where you're going and flying one-handed is peaceful, subtle, and relaxed. Although the full-sized O2 Flame weighs only 2.6 ounces, and the Mini O2 under an ounce, the enjoyable wind range is tremendous. In light wind the O2 will float on the slightest currents. 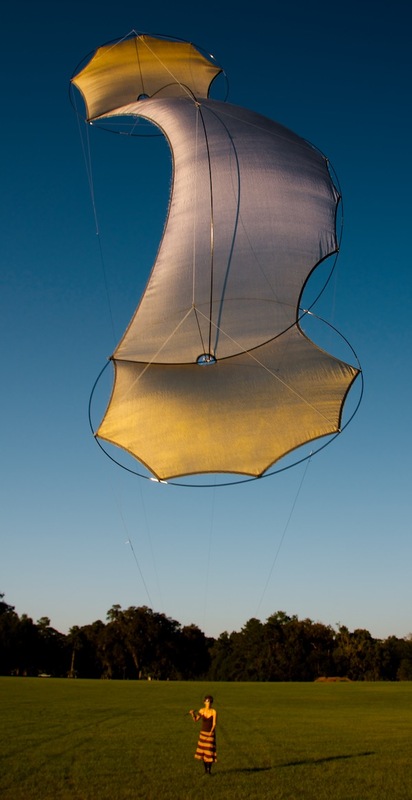 As the wind increases, the adaptabilities of the silk sail become more and more remarkable.